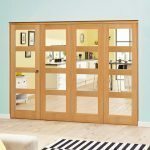 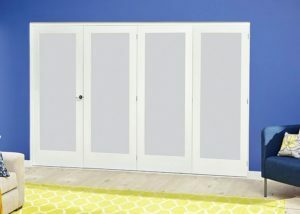 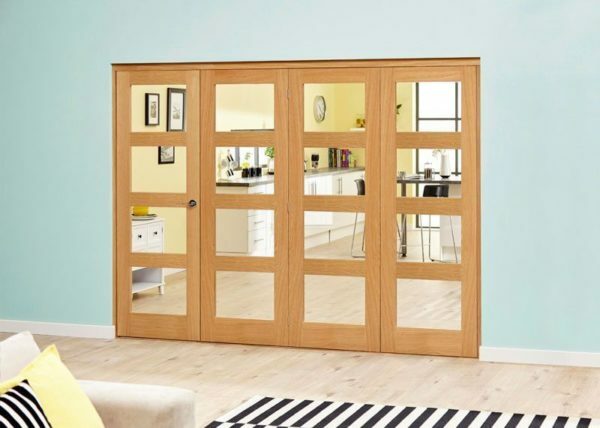 The Oak 4 Light Shaker clear glazed offers you a modern looking room divider. 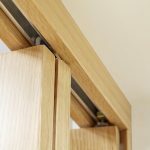 With clear glazing you can have an uninterrupted view of the other room without the noise but allows you to open up the room when you’re entertaining. 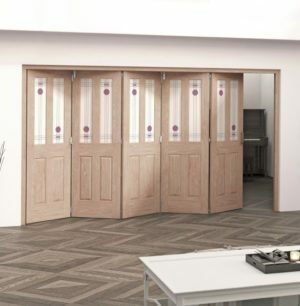 These Roomfold systems are available in 3, 4, 5 & 6 door options. 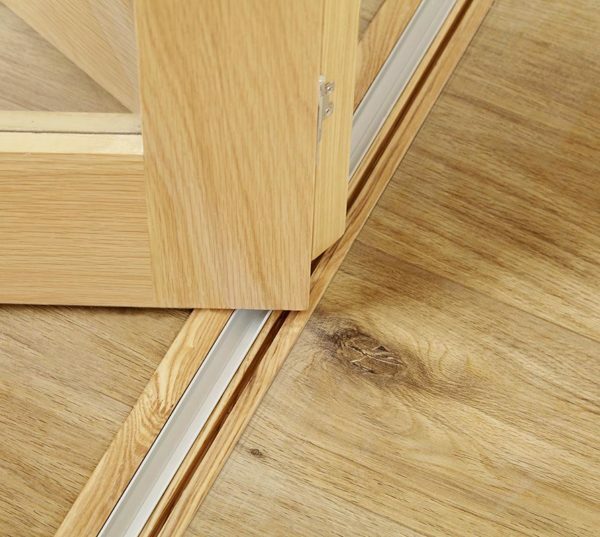 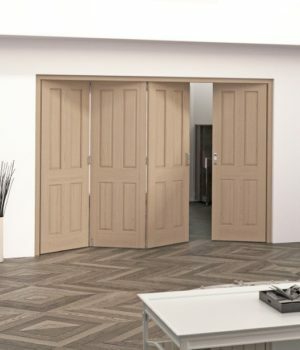 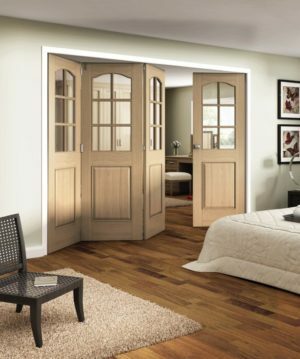 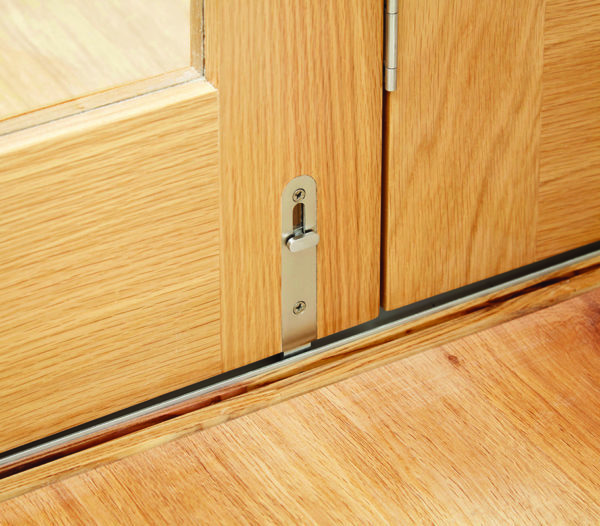 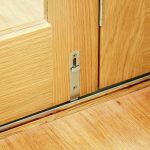 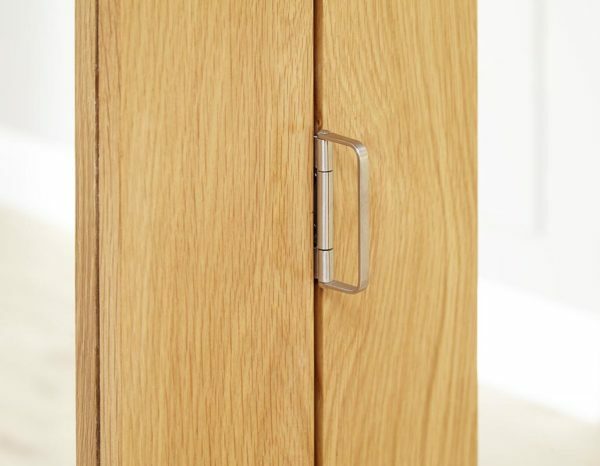 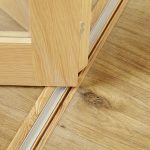 The doors are available is standard widths of 533mm, 610mm, 686mm and 762mm. 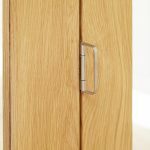 With all the options available please take your time before ordering. 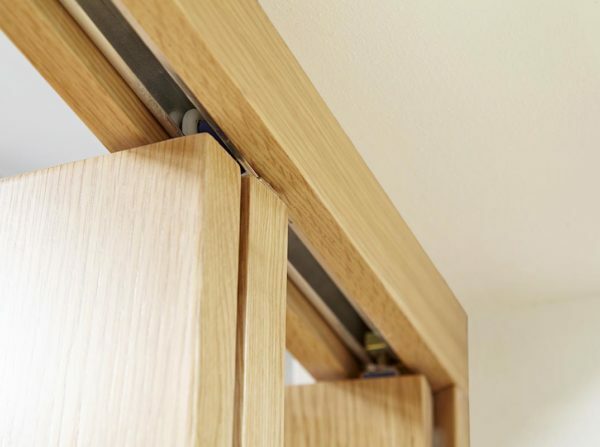 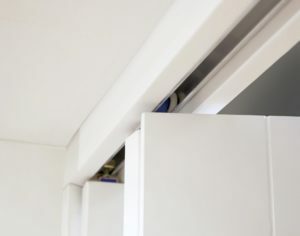 This top hung system is offered with frame, head and base track, running gear, hinges, drop bolts and pre-glazed doors (Handles and latch excluded). 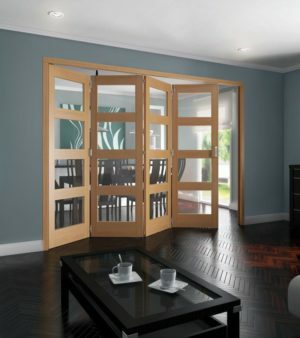 All doors MUST be decorated before installation.